We specialize in custom frameless glass shower enclosures, textured glass, glass countertops, glass backsplashes, and painted glass. 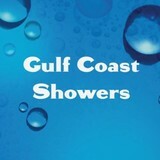 Our work ethics, attention to detail, and communication with our customers are all of what sets Gulf Coast Showers, LLC, apart from the rest. Our friendly, knowledgeable, and fun staff will help bring your vision to life, and create YOUR Shower Door! Try us, you will be glad you did! And don't forget, we always offer a 20% MILITARY DISCOUNT - THANK YOU FOR YOUR SERVICES AND THANK YOU FOR OUR FREEDOM! YOU ARE ALL TRUE HEROES! Intentional Glass, Custom Designed. Founder and Glass Designer, Leslie Pabst, alongside an elite team of Glass Artisans, is sought out for the most custom and creative glass projects. Our specialties include Glass counter tops, Glass Wine Cellars, Antique Mirror features, and in house Custom Back Painted Glass. Our team will work with you throughout the entire creative design process. We offer innovative options for heavy glass shower enclosures, custom vanity and mirror walls. Including a compete collection of Frame Options for your mirror. As a stocking Distributor for Omega Antique Mirrors, we have over 10 handmade antique patterns in stock and ready for your installation. Our customizable hand cut Antique Mirror Subway Tiles are available to be shipped. Replacement windows and doors are also a large part of our business. 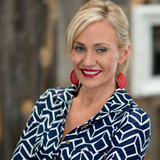 We work with Designers, Contractors and Discriminating homeowners. Our full service glass fabricating facility can custom cut any glass table top, shelving, window glass, decorative glass for cabinets or mirror with a quick turn around. Shower Door City is a full-service interior glass & mirror company. We specialize in Frameless Shower Doors, Frameless Wine Cabinets/Rooms, Frameless Office Partitions, Wet Bars, Custom Mirrors, Antique Mirrors, Shelving Systems, and Custom Table Tops. We are a family owned business with over 20 years of experience in the SWFL area and 40+ years in the glass and mirror industry. Doing some remodeling? We have the ability and expertise to turn an architect’s blueprints, a designer’s idea, or a builder’s plan into a Frameless Shower Enclosure that is not only visually stunning, but functional and practical. Just want to replace your old, out of date, and under-performing framed shower enclosure? You'll be amazed at how different your bathroom can look just by switching to a Frameless Shower Enclosure.. Our goal is to enhance the showering experience of each and every one of our customers; making their lives easier and their bathrooms more enjoyable. Visit our Showroom or give us a call and learn how you can Shower Yourself in Luxury! 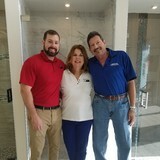 Get your tub and shower enclosures, custom mirrors, and custom glass from the Mirror Man of Naples Inc., located in Naples, FL. You will be sure of meticulous installation by our staff with 36 years of experience, with one year warranty on all installations. WE ARE EXPERTS IN RESIDENTIAL WORK. Call, email, or visit Mirror Man of Naples Inc. We are your place for shower and tub enclosures, custom mirrors, and custom glass. Visit our beautiful showroom. Here at Estero Shower Glass & Window we specialize in frameless shower enclosures as well other residential glass products. Our professional glass technicians will meet with you in your home or condo and give you their best advise for your project. Remodeling should be a fun and enjoyable experience. Whether its Frameless Shower Door, Impact Windows, Antique Mirror, or custom glass, we believe that you will find great value in Estero Shower Glass & Window. Envision Glass & Aluminum, LLC. What can a local Marco Island glass company help me with? If it’s a major home glass repair or replacement, the Marco Island glass company should work directly with your insurance company to help bring down costs for you, if applicable. 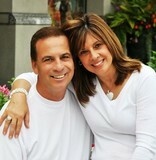 Find Marco Island glass companies on Houzz. Narrow your search in the Professionals section of the website to local glass, mirror and shower door services in Marco Island, FL and read reviews and ratings to find one that fits your needs.